Come see the Dermatology NYC and meet an internationally recognized, book author and award winning cosmetic dermatologist in NYC Dr. Susan Bard. Get the care you need in the safe, reassuring hands of the best rated cosmetic dermatologist Dr. Bard. Make your appointment today to experience highly personalized and comprehensive New York dermatology care. 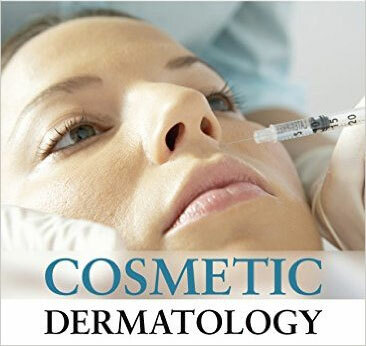 The field of dermatology covers a wide range of treatments and procedures. It has to because your skin can suffer a wide range of ailments and injuries, from acne to scars. So dermatologists in Manhattan and beyond have developed strategies to fight back. As a result, you can receive everything from acne treatments, to scar removal and everything in between from a single medical source. Your skin plays such a huge role in how you look and feel about yourself that leading New York dermatologists also offer a number of cosmetic dermatology treatments in addition to traditional skin disorder treatments. While some cosmetic procedures may be covered by your health insurance because they’re medically necessary, most aren’t covered. That’s a consideration for budget-conscious New Yorkers. Depending on your health insurance plan, you may need to pay for your procedure yourself. Talk to a Manhattan dermatologist if you think your condition warrants medical coverage. When your skin is healthy, it looks its best. Cosmetic dermatology in New York is a practice of rejuvenating your skin, sometimes from the outside in and sometimes from the inside out. You’ll actually look younger with healthy skin; it’s a natural byproduct of taking care of your epidermis. Good cosmetic dermatologists have the experience, tools and resources to improve the health and appearance of your skin. These treatments not only improve your health, but they’ll change how you feel about yourself. When you look in the mirror after successful cosmetic skin treatments, you’ll see a younger version of yourself. That’s the value of cosmetic dermatology. You can blame your parents for your genetics, but it won’t help how you look today. Some people just look older than they really are or just older than they really feel. The cause can be genetic, but it also may be due to your lifestyle or stress levels. Fortunately, your New York dermatologist can help you regain your self-confidence through a more youthful appearance. As you grow older, your skin loses its elasticity and tends to sag, wrinkle or both. Laser dermatology and other cosmetic treatments can restore your skin by promoting collagen and elastin production, making your skin naturally more youthful. A skilled NYC dermatologist can fill in your wrinkles and fine lines like crow’s feet to make you look years younger. Schedule a consultation today. Laser dermatology uses an intense pulsed light to break down damaged skin and encourage the growth of new skin. 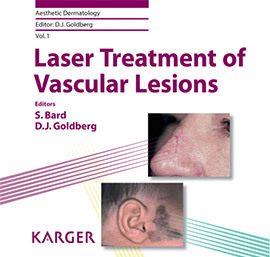 The type of laser used for a procedure and the technique required are determined by your condition. Ask your trained local dermatologist which treatment or treatments are right for you. Whether you need to remove your stretch marks, treat your cellulite or get rid of genital warts, laser dermatology can help. Unlike some chemical peels, treatments from a laser work on a deep layer in your skin to promote healthy skin production. Laser dermatology can also treat spider veins and varicose veins. Ablative laser dermatology actually kills some skin so that newer skin cells can replace it. The destroyed skin is damaged and unsightly; the new skin is smoother and more attractive. This is a safe procedure in the hands of an experienced dermatologist. It has a longer recovery time up to two weeks. In general, nonablative laser dermatology treatments require shorter recovery durations anywhere from no downtime to less than a week. You can often return to your regularly scheduled activities immediately after the procedure, although the optimal results may not appear for weeks or months. You may need more than one nonablative laser dermatology treatment. The results from laser treatments are considered permanent, although your skin continues to age. But even considering future changes from aging, laser treatments deliver long-lasting results. That’s one reason to undergo the often more expensive laser treatments versus undergoing temporary cosmetic treatments such as chemical peels or Botox treatments. Botox, Dysport and other injectables have a relative short span of effectiveness. Some treatments only last for a few months before you need to return for more. So while they’re less expensive in the short run, they may be just as expensive long-term. Chemical peels may last longer than Botox injections, but you can’t get as deep a treatment from a peel as you can from a laser. A chemical peel generally treats the surface layer of your skin. So while you may look great once you’ve recovered from the peel, you may need another one before a year is up. Like injections, peels require that you return for continued treatments. Laser dermatology, on the other hand, resolves surface skin issues at the root of the problem, sometimes deep inside your skin. You still may require multiple sessions under a laser, but each time gets you closer to a more permanent result. 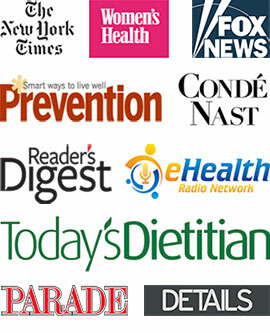 Talk to your local New York City dermatologist today about cosmetic dermatology treatments. Do you have any questions about Cosmetic Dermatology? Would you like to schedule an appointment with an internationally recognized, cosmetic and medical dermatologist in NYC Dr. Susan Bard of Manhattan Dermatology? Please contact our Midtown or Upper East Side NYC clinic for consultation with cosmetic and laser dermatologist.